The charming gun-based roguelike Enter the Gungeon will be receiving a new expansion this Thursday. First announced back in August 2017, the free expansion Advanced Gungeons and Draguns will provide a lot more of everything to the game. Enter the Gungeon is a game that was first released on Steam and PlayStation 4 in April 2016. You played one of several characters who enters the titular Gungeon in order to find a gun that can kill the past. Players wield a variety of guns and fight bullet and gun-themed monsters, including sentient bullets, a buff Gatling-gun wielding gull, and a beholder with a bunch of guns. It was later ported to the other current generation consoles over the course of a year and a half. The game also received an expansion pack early 2017 titled Supply Drop. Among some of the other new features, players will be able to wield the Gjallarhorn from Destiny, drop rates for items will be increased, and players can finally fight the Resourceful Rat, an NPC that likes to steal items the player leaves lying around the Gungeon floor. 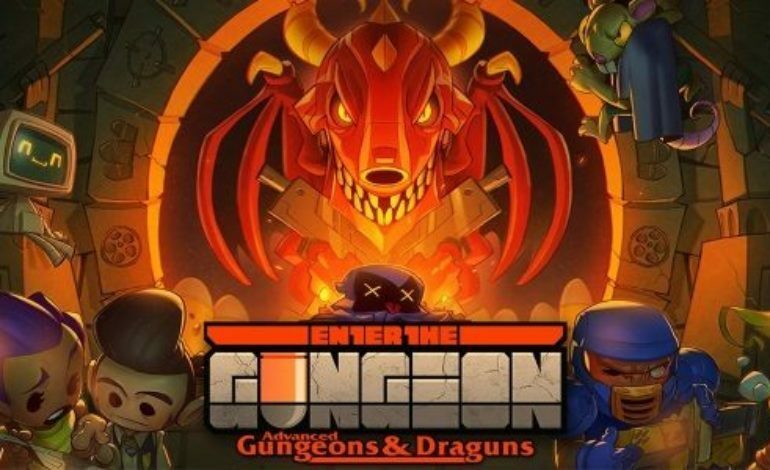 The Advanced Gungeons and Dragons expansion to Enter the Gungeon will release this Thrusday, July 19. It will be free on the Nintendo Switch, PlayStation 4, Xbox One, and PC.